On the World markets, French wine faces stiff competition from producers in other countries. 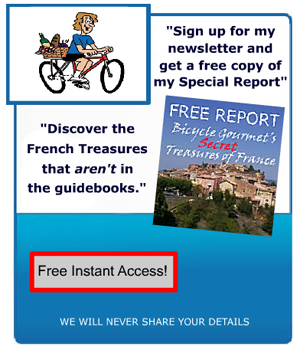 Many of whom are either French,and/or have adopted the French model. Regardless of taste/price,there is one element French wines have that World wines do not.Authenticity. Because of A.O.C. (Appelation Origine Controle) – The government system of wine designation/control. 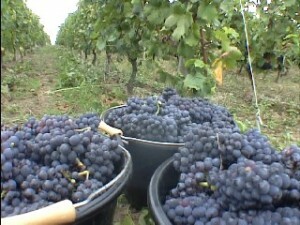 This “fidelity”to a specific location means that a Pinot Noir from Beaune,must be produced from those grapes alone,and grown within the Beaune appellation. This assures the consumer that this pinot is an authentic reflection of Beaune’s soil and climate. Happily, if you do detect a nuance of banana in your French Savignon, you can rest assured, thanks more to tradition than A.O.C, it’s the real deal. Although Italy produces more wine by volume than France, the adjective -“Quality” is synonymous with French Wine in the popular imagination. The Bottom (and obvious)line: Every Country has wines of varying degrees of “quality” – however you wish to define the word. One wine that fits MY definition of quality is produced by Domaine Philippe Viret, in the heart of one of France’s classic wine regions – Bourgogne. A “virtual Tasting” is available in this video – with English sub-titles. perhaps the best(and shortest!) definition of a.o.c. i’ve yet seen. good information for those who are new to important facts you reveal here. the(to me) new info you keep coming up with is amazing! Looking forward to part 2! I’m wondering if the demand for “authenticity”(ie – the A.O.C. model) is sufficient to keep French producers from losing a sizeable market share to the World Wine producers. Perhaps you’ll be addressing this in your next post? the video really does convey the feeling and dedication of the wine makers. thanks for the education – never knew “wine’s most infuential critic” was American. gerry – hard to believe, i know. But sometimes we get ahead of the pack! your post brings back happy memories of my last trip to france…tasting many great wines in tiny places by complete unknowns, Fabulous! Obviously this is what rocks your boat as well.good to know. your info about the “wine producers hotline” was a big eye opener. Perry – I hear ya. Does this mean you’re off banana flavored wines now? fanny – just the yeast enhanced ones! the info in this post, and the feeling you get of “being there” from the video confirm you’re “living the dream!” Thanks for sharing with us!! have learned much from this post,,,,,,big eye opener to the reality of wine production…..i’ll be watching for the next installment. thank you again. Your revelation of the “wine producers hotline” confirms a suspicion I have long held regarding the “enhancement” of some wines.Well done. kudos for lifting , if ever so slightly, the veil surrounding the mysteries of wine production. just so the rest of your readers don’t think that all japanese taste buds are salivating over banana flavored chardonnay, i’ve been in 5 star french resturants(in france) where the biggest spenders were japanese. And usually a table of 6 or 8.
thanks for explaining that a.o.c. thing – i always wondered what that was all about. Now i know! Nice to see more wine info on your site. although i do really love your unusual adventures, also. enjoyed very much your insights regarding french and world wine. Like you, i enjoy discovering and supporting the small, independant producers. Always enjoy your posts…..this one especially, Waiting for no. 2. Keep up your good work! i hope you will be following up this excellent post with more on world wines and their impact on the a.o.c. producers.a subject i believe many people are interested in. after reading about the wine producers hotline, i guess the answer to the question : ” is nothing sacred?” is a big NO! Hopefully you’ll be giving us more insight on this captivating subject in your next installment.